Crown Jewel of the Big Horns Sheridan, Wyoming, welcomes visitors to stop and explore its historic Western roots. 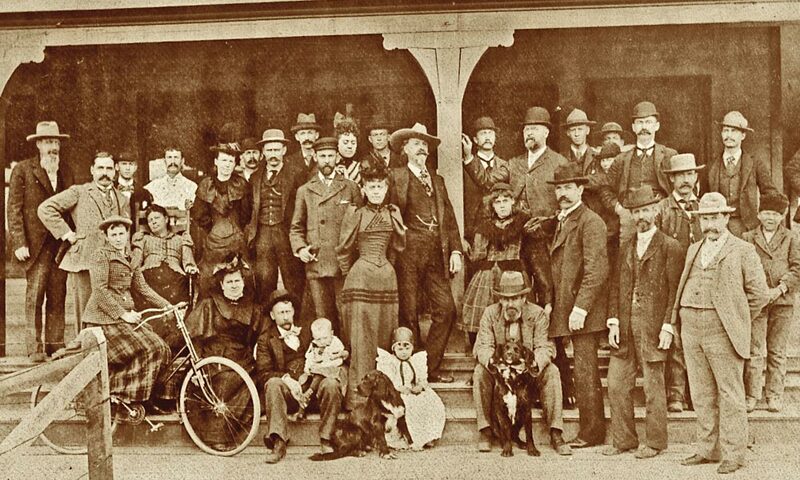 William F. “Buffalo Bill” Cody is center stage on the Sheridan Inn’s famous front porch. Co-owner Cody sold the idea of its construction to the Burlington & Missouri Railroad in 1892. Modeled after a Scottish hunting lodge, the hotel opened its doors on June 27, 1893. After a 50-year hiatus, the historic inn was restored, modernized and reopened in May 2015. John Loucks fought the Sioux during their 1862 uprising in the Dakotas. Twenty years later, he platted out his vision for a town on a piece of wrapping paper and named it for Gen. Philip Sheridan, commander of the U.S. Cavalry during the Civil War. Sheridan today is a vibrant community of 17,500 in Little Goose Valley, a place of great beauty under the Big Horn Mountains. The summer is the signature time for visitors, headlined by the Sheridan WYO Rodeo, now in its 86th year and known for drawing elite competitors from around the country. Local Crow and Cheyenne Indian tribal members have been participants in the Sheridan WYO Rodeo since it was founded in 1931. 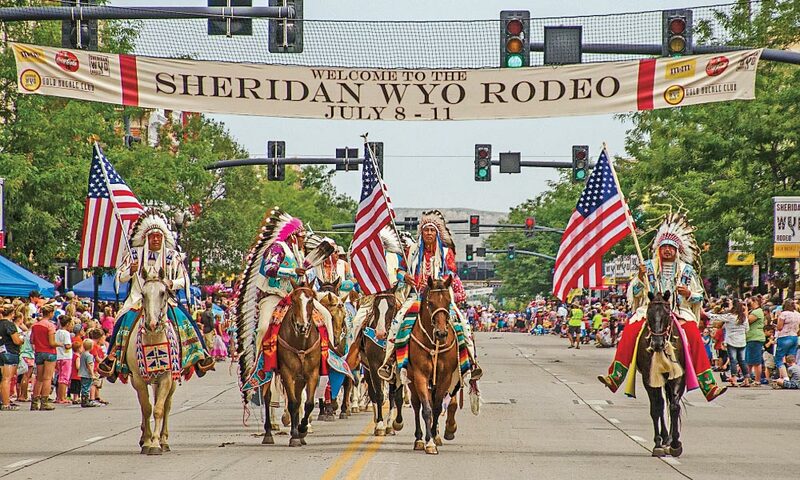 The Sheridan WYO Rodeo Parade will roll down Main Street on Friday morning of the week-long event, July 11-17, 2016. 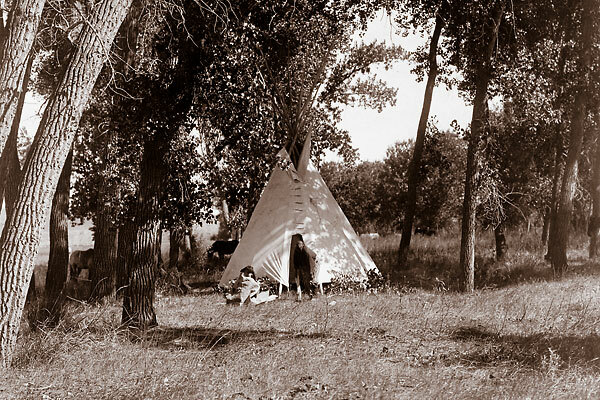 The pow wow takes place on the lawn of the newly renovated Sheridan Inn, where guests stay in rooms themed around characters from the life of William F. “Buffalo Bill” Cody, a noteworthy presence at the inn in the early 1890s. Some believe the great showman conducted informal tryouts for his Wild West Show from the building’s long porch. Other famous names have made their mark in Sheridan. Ernest Hemingway came to the area in 1928 to finish the first draft of his classic novel, A Farewell to Arms. He completed it at the nearby Spear-O-Wigwam Ranch in the Big Horn Mountains. United Kingdom’s Queen Elizabeth made a splash in 1984 when she shopped for fly-fishing supplies on Main Street and ate at a local restaurant. It was believed to be only the third time in her life that she’d ordered from a menu, according to The Sheridan Press. Summer visitors flock to the historic downtown district to enjoy a farmer’s market, a street festival, the Suds n’ Spurs Brew Festival, and in March, the Wild West Wine Fest. A bronze statue of John Loucks stands at Sheridan City Hall; a bronze Sacajawea guards the post office, and nobody misses the Mint Bar, thanks to the giant neon cowboy and bucking bronc outside. Kenny Rogers got thrown through the Mint’s front window in the 1985 rodeo movie, Wild Horses. 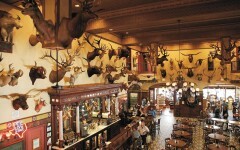 Buck and ram heads adorn the bar’s walls, along with historic photos and some 9,000 Wyoming cattle brands. The management needs help identifying them for an online catalog, so brand aficionados should stop in and give a hand. Also on Main Street, take in King’s Saddlery and Museum, a tack store selling everything the working cowboy needs, from saddles, ropes, bridles and bits, to blankets and slickers. Follow the rich aroma of leather through the back door to the museum side of the enterprise. There you’ll see a remarkable collection of saddles, wagons, carriages, Indian artifacts, guns and artwork that the King family has accumulated over the decades, with docents to explain it all. Historians and buffs of the Indian Wars will love Sheridan and its environs. Rosebud Battlefield State Park, 41 miles north of town, interprets the Battle of the Rosebud, fought June 17, 1876, eight days before Custer’s Little Big Horn debacle. An exhibit at the Sheridan County Museum in town also explains the pivotal encounter. The Indians halted Brig. Gen. George Crook’s northward advance, forcing him back to Camp Cloud Peak, his supply base at what would become Sheridan. “Crazy Horse and his Sioux and Cheyenne warriors emerged from the battle with a morale boost that I think helped them prevail at the Little Big Horn,” says Woodward. Leo W. Banks is an award-winning writer based in Tucson. He has written several books of history for Arizona Highways. Cowhorse Tango One heck of a roller-coaster ride. On the Cheyenne Heritage Trail An Oklahoma loop, from Clinton to Elk City, ending the trail at El Reno. Eat, Drink & Be Merry Luxury service and fine dining await patrons of heritage hotels and restaurants across the West.